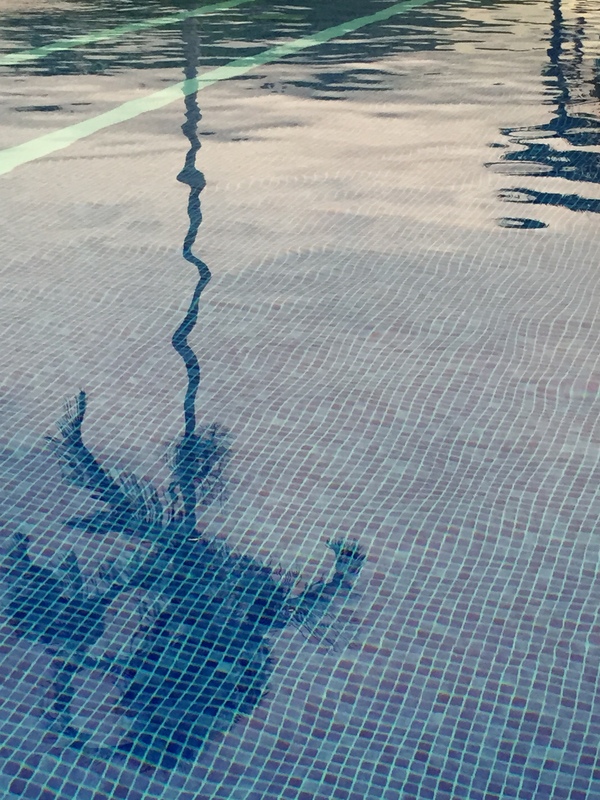 As i glide up and down the empty pool in the thickening light of the Costa Rican late afternoon I find myself reflecting on a year of my life with each corresponding length. It’s an interesting speed to run your biopic. Not much detail. A marriage, a birth, a death. A new job, a new experience. And it meant I had to swim a kilometre to get to the present day. At first it was tiring but I got into a rhythm, the lap of the water against the sides of the pool and the surrounding beauty soothing me into a contemplative state. I remembered when I could never afford to stay in places with pools, and the lengths I would go to in order to spend some borrowed time in someone else’s. Take as little as possible. Hide it in the toilet and splash some water on my shoulders and hair. Stroll back into the pool area without a care in the world. I almost always got away with it. And that got me thinking about the handful of times I haven’t been able to talk my way into things. Denied access to a golf club bar in Yorkshire, on account of being a “lady” (pah! the very term enough to make my hackles rise, then delivered by a red-faced member of the Golf Club Committee – enough to confirm a lifetime allergy to the game). Turned away from a nightclub in Soho on the hard to deny grounds of not being a male homosexual. Denied access to a pub in South Africa on the simpler basis of not being male. And to a McDonalds in Washington DC for being white. Alas my reasons for rejection have been difficult to hide. Though I have of course tried to overcome the challenge and talk my way past the rules anyway. In these 4 cases though I have to admit total failure. Why is it that as son as we cannot go somewhere we want to so much more? None of these were places I was particularly keen on visiting in the first place, but once denied entry it became important to me to try to get in. It makes me wonder if I have applied this same false logic in other areas of my life. Hankering after the unattainable at the expense of the possible. Worth paying attention to now and then at least, just to see if its applicable. Meanwhile, I am still working the pool. Back and forth. Slightly different plants and clouds. In a world of my own. Nearing the part of my life I am now living. Noticing and appreciating the challenges I have overcome and the sense of now being in harvest mode. Having done a lot of the striving and now having more time to swim at my own pace, contemplate my next move, acknowledge and enjoy the depth and breadth of my life.